Until further notice no more "threat of showers" or "risk of rain". Even on a weekend. Now it's an "opportunity for moisture". Yeah, I hate that word, too. 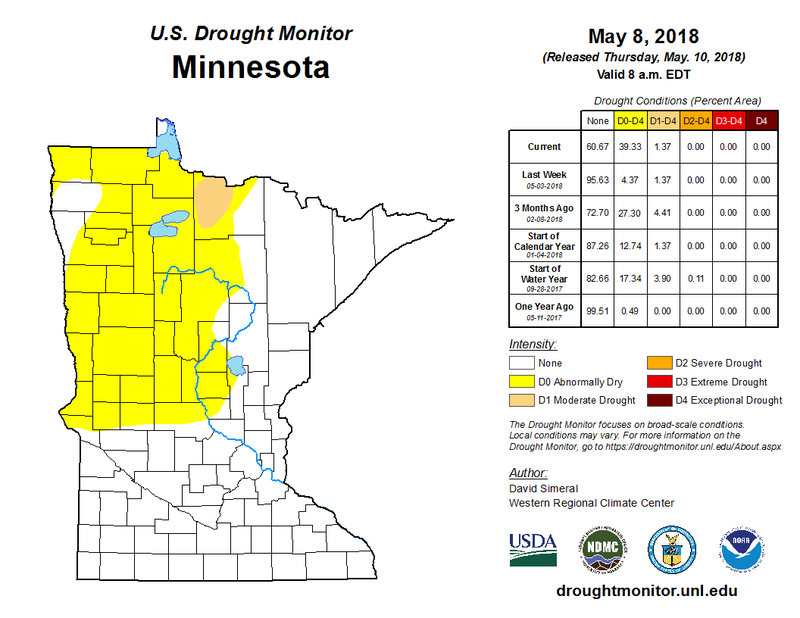 Data shows that 39 percent of Minnesota is abnormally dry, up from 4 percent last week. It's too dry from central Minnesota into the Red River Valley. The biggest, wettest storms have clipped southern Minnesota, but farmers and gardeners from St. Cloud to Crookston are starting to worry. Today's storm pushes heavy rain across southern Minnesota (again), where a couple inches may fall. Over half an inch may soak thirsty lawns in the metro area, but dry areas won't see much, if any rain. Considering I could be tracking snow, lightning, hail and high water Fishing Opener weather looks better than average. In spite of an isolated shower over southern Minnesota Saturday, most of the weekend looks dry. Mom may temporarily overheat on Sunday as temperatures push into the mid-70s. Take good care of mom. Long-range models show a better chance of heavy showers and T-storms the weekend of May 19-20 up north. Hope we can avoid a drought. Fishing Opener Weather Details. It's almost here, the 2018 Minnesota Fishing Opener. Considering we had a blizzard in mid-April, I'm just happy it's not snowing - and there's open water on (most) lakes, although expect some residual ice on Mille Lacs, Pelican and Leech. Ice-out is coming right down to the wire on those lakes, but icebergs will not be an issue for most of us heading out late Friday night or Saturday morning. A soaking rain is likely over southern Minnesota Friday, and a few pop-up instability showers may linger into Saturday, but most of the day Saturday should be dry, breezy and cool - with highs in the 60s and a light walleye-chop. Sunday still looks like the sunnier, milder day, statewide, with some low 70s by afternoon. Don't forget the sunscreen as you head out. I don't see favorable conditions for thunderstorms; nothing severe brewing. No weather drama, but plan on a few showers Saturday and be pleasantly surprised if they don't materialize. Believe me, we've seen worse. That said, Sunday should be the more pleasant day to get out on your favorite lake to fish or spy on the neighbors. .93" rain predicted for MSP today, according to last night's 00z NAM run from NOAA. Rainfall Into Saturday Evening. The best chance of (steady) rain comes Friday over the southern third of Minnesota, including metro lakes, where rainfall amounts may approach 1". A few pop-up showers may spill over into Saturday, mainly far southern Minnesota. Map credit: pivotalweather.com. Future Radar: 7AM Saturday Morning. NOAA's NAM model shows the best chance of rain Saturday morning from northwest Iowa into South Dakota, but a few (light) showers are possible over southern Minnesota. Isolated showers may continue to pop up during the day, possibly as far north as Brainerd and Alexandria lakes. Predicted Sunrise Temperatures on Saturday. Take a jacket - Saturday morning will be cool with early morning temperatures in the 30s north and low 40s over central Minnesota into the Twin Cities metro. Predicted Saturday Sunrise Winds. Expect very light winds early Saturday, but a walleye chop should develop as the day goes on with winds increasing from the east at 7-12 mph. Predicted Highs on Saturday. Expect low to mid 60s by late afternoon with a mix of clouds and some sun; a slight risk of a shower - but most of the day should be dry. Saturday Regional Highs. Expect a cooler, wetter Saturday if you're heading east into Wisconsin, with more clouds and showers keeping temperatures cooler. The warmest readings are expected over northern Minnesota and the Red River Valley. Predicted Sunday Highs. Sunday still looks like the sunnier, drier, milder day of the weekend, statewide. Good news for mom. Sunday Regional Weather. Temperatures mellow on Sunday; a good 5-10F milder than Saturday across most of the region. Keep in mind the sun angle is as high as it is the second week of August. The risk of catching fish - and sunburn - will be high. Especially the latter. Considering we could be grapping with flurries, frost, hail and lightning I'm relieved the weekend weather will be relatively quiet. Not quite perfect (although Sunday may be close) but better than many years. 39% of Minnesota is Abnormally Dry. Bring on the rain, preferably on a weeknight, after evening rush hour, if at all possible. That 39% number is up from 4% a week ago, so we need to keep an eye on this and hope that significant rains materialize in the coming weeks. Map source: U.S. Drought Monitor. The Kilauea Eruption Has People Worried About Volcanic Smog. Here's How Dangerous "Vog" Really Is. TIME.com explains one of many volcanic risks: "Thinking of Hawaii typically brings to mind pristine white-sand beaches and crystal-clear seas. In contrast to these picturesque scenes, however, is the Kilauea Volcano, situated on the state’s Big Island, which saw a major explosion this week and has some reports warning of a volcanic smog (or “vog”). Since it started continuously erupting in 1983, Kilauea has each day pumped out at least 300 metric tons of sulfur dioxide gas, a pollutant also produced by power plants and industrial manufacturing operations. Over the course of a year, Kilauea’s sulfur dioxide production is equivalent to somewhere between 5% and 10% of that emitted by all of China, according to a 2016 paper published in Environment International. And after a major eruption like the one that occurred last week, production kicks into overdrive..."
Hawaii Could Face Volcanic Smog, Acid Rain After Earthquakes and Lava. CNN reports: "After earthquakes and molten lava tore open the earth, residents of Hawaii's Big Island have new threats to worry about: hazardous volcanic smog and acid rain. The Kilauea eruption last week created new volcanic vents on the ground miles east of the summit, releasing slow-moving lava and toxic gas into island communities. Officials have warned of dangerous levels of sulfur dioxide gas. If winds weaken, that gas and other volcanic pollutants can settle easily with moisture and dust to create a haze called volcanic smog, or "vog," with tiny sulfuric acid droplets that can pose respiratory problems, according to the US Geological Survey. At higher concentrations, vog can cause headaches and irritation to the lungs and eyes, the University of Hawaii at Hilo says..."
Infrared Sound Can Detect Tornadoes an Hour Before They Form. Really? I'm intrigued - and keeping an open mind. HowStuffWorks has more details: "...A tornado can produce unique infrasonic waves even before tornadogenesis, or when the storm forms. In fact, scientists have known about the tornado-infrasound connection for several decades. Now, to learn more about this process, and to better understand how humans could harness this information, a group of scientists recently developed a long-distance, passive way of listening in on tornadoes. In doing so, we'd be able to deal with the fact that three-fourths of all current tornado warnings are false alarms, and thus too often ignored or not taken seriously. Infrasound could represent another source of data to add to our arsenal. "By monitoring tornadoes from hundreds of miles away, we'll be able to decrease false alarm rates and possibly even increase warning times," said Brian Elbing, an Oklahoma State University mechanical and aerospace engineering professor, in a press release discussing the research..."
File photo: Eric Anderson, AP. These States Have Had the Most Violent Tornadoes Since 1950. The Weather Channel has an interesting post; here are excerpts: "...Less than 1 percent of all tornadoes were assigned the EF4/F4 or EF5/F5 rating from 2000 to 2010. Despite their infrequency, tornadoes that produce this extreme damage account for more than half the deaths from all twisters. About 51 percent of all fatalities from 2000-2013 were caused by EF4/F4 or stronger rated tornadoes...Oklahoma has had the most violent tornadoes since 1950 with 65. Rounding out the top five states are Texas (52), Iowa (51), Kansas (49) and Alabama (42). These states also lead the way when just examing EF5/F5 rated tornadoes since 1950. Alabama and Oklahoma have had seven "5-rated" tornadoes, followed closely by Texas, Iowa and Kansas with six such tornadoes each..."
The Most Tornadoes by Calendar Day by State. U.S. Tornadoes has another timely post - in the case of Minnesota the biggest day was June 17, 2010: "Ever wondered what the big tornado day is in your state? Wonder no more! As we’ve mentioned numerous times here, no state in the country is totally immune to tornadoes. There are some hot-spots, as we’ll see in the data below. The hot-spots might not all be the ones you typically think of. At the same time, there are not many huge surprises when it comes to which states are in the lead for the biggest tornado day on record. Lots of Plains, lots of Dixie and Southeast, plus lots of Midwest..."
Detecting Tornado Debris. KFSM 5News had an interesting post; here's a clip: "...With dual polarization, we often know a tornado is on the ground before the first report ever comes in. The product is called "Correlation Coefficient" and works by detecting the size of the particles lofted in the atmosphere. Traditional Doppler sends a pulse of energy out in ONE direction detecting rain, snow, and hail; however, dual polarization sends pulses of energy out in TWO directions: horizontal and vertical. This gives us the size of raindrops in the air. Tornado debris doesn’t resemble anything that occurs naturally inside the atmosphere. 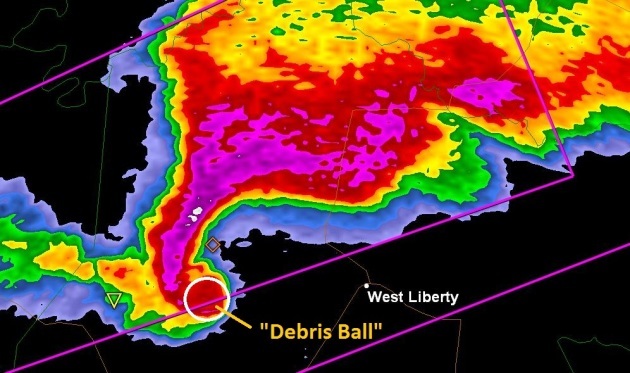 This tells us almost instantly that the tornado is on the ground and doing damage because debris sizes are actually be detected by the radar beam..."
Why Some of the Nation's Top Hurricane Experts Bought Flood Insurance. A post from NOAA explains: "...It was never intended for the federal government to bail out the uninsured after a disaster— in fact, quite the opposite. When the National Flood Insurance Program (NFIP) was established 50 years ago, its goal was to help insure the uninsured before a disaster. Flooding is the most common and expensive type of disaster, and insuring high-risk flood areas often demands an astronomical price tag. Back in the 1960s, private market flood insurance simply wasn’t available. This is where the NFIP came in. Through the NFIP, the federal government began offering largely affordable policies to the residents of participating communities who adopted and enforced floodplain management ordinances in high-risk flood areas to reduce future flood risk. In theory, securing and insuring high-risk communities reduces the reliance on federal post-disaster assistance and saves the government (and U.S. taxpayers) money, which is a good thing...."
File photo credit: Popular Mechanics. Subtropical Cyclones Don't Normally Form Near Chile - But One Just Did. Marshall Shepherd explains the head-scratching development at Forbes: "...I want to deal with the second question first. It is very rare. This part of the Pacific Ocean is typically too cold to support the development of tropical cyclones. One of the reasons is that there is a process called upwelling that brings deep, cold water up near the Chilean coast (see diagram below). Chile is also located in a global circulation pattern in which the air typically sinks. Any basic meteorology course describes how latitudes near 20 to 30 deg North (and South) are situated in sinking branches of something called the Hadley Cell (see below). If you look at the location of most of the global deserts, they are found near these latitudes because sinking air warms and is not conducive for convection..."
Why Do Some Hurricanes Intensify So Fast? Miami Researchers Find a Key Clue. More perspective on the research highlighted above at The Miami Herald: "...In a paper published in the Journal of the Atmospheric Sciences, scientists now say a look inside the storm might provide forecasters with valuable warning signs. After examining models from a 2014 hurricane that rapidly intensified, they found that interior thunderstorms were able to overcome the power of upper level winds that held them in place. As the thunderstorms begin swirling around the storm's center, they appeared to increase the storm's circulation, make the hurricane more symmetrical and lessen its tilt, allowing it to spin more furiously..."
Plastic in Most Great Lakes Tap Water, Beer. No, not the beer! Duluth News Tribune has the story; here's a clip: "...Now a Minnesota researcher says she's tested municipal tap water taken from all of the Great Lakes and, not surprisingly, found plastic particles in almost all of them. The microplastics are even showing up in the plethora of beers now being brewed with Great Lakes water. In a study published this month in the journal Plos One, Mary Kosuth — a masters graduate of the University of Minnesota School of Public Health who now teaches environment courses at Dunwoody College of Technology in Minneapolis — found that eight of nine tap water samples taken from all five Great Lakes had plastics in them. And Kosuth, a Duluth native, found that all 12 brands of beers she tested brewed with Great Lakes water had plastics inside..."
File photo: Nick Ut, AP. New Poll: Conservative Millennials Support Clean Energy. IJR Opinion has the post; here's an excerpt: "...A recent poll conducted by the Conservative Energy Network (CEN) and American Conservation Coalition (ACC) indicates that environmental and energy issues are incredibly important to millennials, regardless of their party affiliation. The environment and clean energy would be ideal starting points for a Republican effort to broaden the party’s appeal. Given their youth, millennials express greater interest in protecting the environment for future generations. In this poll, 79 percent of respondents felt that a pro-clean energy candidate cares more about their family’s future..."
Renewable Energy Tops Top Record 10 Million Led by Solar. Bloomberg explains: "The solar photovoltaic sector was the largest employer in the renewable energy industry last year, accounting for 3.4 million jobs, up from 3.1 million in 2016, according to International Renewable Energy Agency data. Bioenergy was the second biggest employer at about 3.1 million jobs, more than double the size of hydropower, which came in third at 1.5 million. Total jobs for the renewable energy industry topped 10 million for the first time, with China alone being responsible for 43 percent of the positions..."
Back in the Neighborhood: Return to WCCO a Treat for Twins Territory. 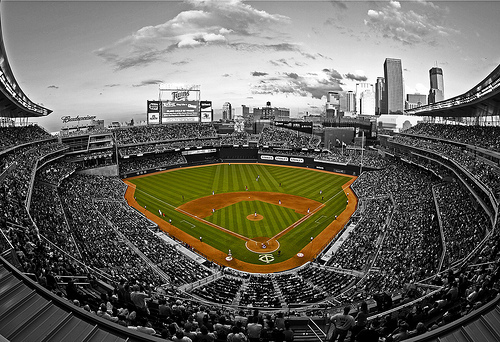 Here's an excerpt from The Star Tribune: "Listening to Twins games on 50,000-watt WCCO-AM radio around the campfire in northern Minnesota is among Tim Pelton’s favorite childhood memories. Pelton’s memories of listening to Twins games in recent years are a little less favorable: He commutes regularly between his Owatonna home and Mankato, a relatively short trek that the last couple of years required him to switch stations to hear games during his drive. So Pelton was among the many Minnesotans who were happy — and for many, a little nostalgic — when the Twins this season returned to WCCO and its strong signal after an 11-year sojourn that took the club’s broadcasts first to KSTP-AM and then the past five years to KQGO-FM (GO 96.3), owned by the Pohlad family, which also owns the Twins..."
The Price of Google's New Conveniences? Your Data. WIRED.com explains that every convenience comes with a potential cost: "...Even Google’s new dashboard for digital well-being revolves around “understanding your habits,” said CEO Sundar Pichai, before introducing Dashboard on Android, which he said will give users “full visibility into how you’re spending your time: the apps where you’re spending your time, the number of times you unlocked your phone on a given date, the number of notifications you got.” All this free personalization comes at a price: these services count on users handing over even more data about themselves and their lives, and on Google mining that data, giving the search giant more influence and control over our daily choices..."
Automation Will Affect One in Five Jobs Across the UK, Says Study. The Guardian reports: "...The thinktank Future Advocacy – which specialises in looking at the big 21st century policy changes – said at least one-fifth of jobs in all 650 constituencies were at high risk of being automated, rising to almost 40% in McDonnell’s west London seat of Hayes and Harlington. The thinktank’s report also found that the public was largely untroubled by the risk that their job might be at threat. Only 2% of a sample of more than 2,000 people were very worried that they might be replaced by a machine, with a further 5% fairly worried. Future Advocacy’s report has been based on a PWC study earlier this year showing that more than 10 million workers were at risk of being replaced by automation and represents the first attempt to show the impact at local level..."
File photo: "Rise of machines? Survey reveals most people are not very worried about being replaced by a machine." Photograph: Alamy Stock Photo. The World's Most Valuable Resource is No Longer Oil, but Data. Yep, and consumers will have increasing protection and safeguards over how that data is harvested and deployed. The Economist reports: "...These titans—Alphabet (Google’s parent company), Amazon, Apple, Facebook and Microsoft—look unstoppable. They are the five most valuable listed firms in the world. Their profits are surging: they collectively racked up over $25bn in net profit in the first quarter of 2017. Amazon captures half of all dollars spent online in America. Google and Facebook accounted for almost all the revenue growth in digital advertising in America last year.Such dominance has prompted calls for the tech giants to be broken up, as Standard Oil was in the early 20th century. This newspaper has argued against such drastic action in the past. Size alone is not a crime. The giants’ success has benefited consumers..."
Uber Unveils the Flying Taxi It Wants to Rule the Skies. Here's a clip from a story at WIRED.com: "...At the very back, where the tail would be on a conventional plane, a propeller faces forwards, ready to power horizontal flight. There’s just one door, on one side, to simplify ground operations. No need for extra steps or worrying about people exiting on the wrong side into an active landing pad. The concept is supposed to cruise at between 150 and 200 miles per hour, up to 2,000 feet above the ground. A single charge will be good enough for 60 miles of range, and Uber expects the thing to need just five minutes to top up the batteries between flights. Initially, they’ll have a human pilot, but eventually, they should be autonomous..."
Image credit: "The Common Reference Model is the kind of vehicle Uber would like to see, with the sorts of specs and practical features that would allow different aircraft to run the same routes and share infrastructure." Uber. Would You Buy Fancy Coffee from a Robot? The Hustle has details: "It’s a new, $25k automated barista designed by the Ammunition Group that, according to CNBC, “slings” 120 cups of hot cawffee an hour. Cafe X launched last year in San Francisco. There is generally a human “specialist” (of what? We don’t know) there to monitor and maintain the area while the java-bot makes between 300 and 400 orders a day. Prices are reportedly kept low, with little overhead, and no tip obligation for customers, so ya’ know… a win win for both sides of the coin..."
R. Kelly Downgraded on Spotify. Billboard has a curious story: "Beginning today (May 10), Spotify users will no longer be able to find R. Kelly's music on any of the streaming service's editorial or algorithmic playlists. Under the terms of a new public hate content and hateful conduct policy Spotify is putting into effect, the company will no longer promote the R&B singer's music in any way, removing his songs from flagship playlists like RapCaviar, Discover Weekly or New Music Friday, for example, as well as its other genre- or mood-based playlists. "We are removing R. Kelly’s music from all Spotify owned and operated playlists and algorithmic recommendations such as Discover Weekly," Spotify told Billboard in a statement..."
Side Effects Include a Potential Cure For...Baldness? Now you're talking. CNN.com has details: "Though it's normal to lose up to 100 hairs from your scalp every day, excessive hair loss is distressing. But a drug originally developed to treat osteoporosis may soon help those who want to treat or even reverse baldness, according to research published Tuesday in the journal PLOS Biology. The path to finding this new compound began with an immunosuppressive drug, cyclosporine A, that has been used since the 1980s to treat patients undergoing transplant surgery or struggling with autoimmune diseases. Cyclosporine A has some severe side effects, including convulsions and diarrhea, yet some patients have experienced something quite unusual: unwanted hair growth..."
Photo credit: "While scientists work on ways to restore hair in people who have lost it, many celebrities show that bald can be beautiful, like singer-songwriter Seal." App That Locks Phones When Users Walk Around. Yonhap News Agency explains: "South Korea's telecom watchdog said Wednesday it released a new service that locks smartphones when the device detects the user walking more than five steps in a bid to prevent accidents and keep pedestrians focused on their surroundings. The Korea Communications Commission said it will update the Cyber Security Zone application, designed to prevent teenagers from being excessively dependent on smartphones, to have the program automatically lock the mobile devices when it senses users walking about. The commission said the service aims to prevent accidents caused by what it calls "smombies," a term which combines zombies and smartphones to describe distracted pedestrians. South Korea's Ministry of the Interior and Safety said smartphone-related traffic accidents doubled over the past five years, with those aged below 20 accounting for 40 percent of all cases..."
Image credit: UK Daily Mail. 2-Headed Dear Found in Minnesota is Unique in Known Natural History. Bring Me The News has a story that will make you do a double-take: "A two-headed, baby white-tail deer found in Minnesota two years ago is thought to be the first conjoined deer of its kind to ever make it to term. The discovery was made by a mushroom hunter in May 2016 near Freeburg, southeast Minnesota, where he came across the recently dead fawns a mile from the Mississippi River. He called the Minnesota DNR, which at the time employed researcher Gino D'Angelo, who now works at the University of Georgia's Warnell School of Forestry and Natural Resources...What was remarkable about the fawns other than the fact they had two separate necks and heads, but the same body, was that they look to have been groomed by its mother – meaning they made it to term..."
Canadian Zoo Faces Charges After Taking Bear Out for Ice Cream. You can't make this stuff up. The Guardian has the unlikely story: "A private zoo in the Canadian province of Alberta is facing charges after a bear from the facility was taken through a drive-thru Dairy Queen in a pickup truck and hand-fed ice cream through the vehicle’s window. News of the outing emerged earlier this year after Discovery Wildlife Park, located about 70 miles north of Calgary in the town of Innisfail, posted a video on social media showing a captive Kodiak bear sitting in the passenger seat of a truck. The video later showed the one-year-old bear, known as Berkley, leaning out of the truck’s window, enthusiastically licking an ice cream cone held by the owner of a local Dairy Queen. Amid widespread criticism, the video – along with a second one showing Berkley licking frosting off an ice cream cake – was taken down..."
Image credit: "Canadian zoo faces charges after taking bear out for ice cream." 60 F. high yesterday in the Twin Cities. 68 F. average high on May 10. 69 F. high on May 10, 2017. May 11,1915: A waterspout is seen on Lake Mills. Trump White House Quietly Cancels NASA Research Verifying Greenhouse Gas Cuts. Here's an except from Science: "You can't manage what you don't measure. The adage is especially relevant for climate-warming greenhouse gases, which are crucial to manage—and challenging to measure. In recent years, though, satellite and aircraft instruments have begun monitoring carbon dioxide and methane remotely, and NASA's Carbon Monitoring System (CMS), a $10-million-a-year research line, has helped stitch together observations of sources and sinks into high-resolution models of the planet's flows of carbon. Now, President Donald Trump's administration has quietly killed the CMS, Science has learned. The move jeopardizes plans to verify the national emission cuts agreed to in the Paris climate accords, says Kelly Sims Gallagher, director of Tufts University's Center for International Environment and Resource Policy in Medford, Massachusetts. "If you cannot measure emissions reductions, you cannot be confident that countries are adhering to the agreement," she says. Canceling the CMS "is a grave mistake," she adds..."
Photo credit: "The Carbon Monitoring System assessed deforestation, such as burning rainforest to clear lands for grazing." © JACQUES JANGOUX/SCIENCE SOURCE. Despite Trump, More Republicans Grasp That Climate Change is Our Fault. Grist explains the latest polling: "In the year after the 2016 election, Republican opinion on climate change strayed further from the scientific consensus. In October — even after record-breaking hurricanes and wildfires linked to climate change hit the United States — conservative voters’ understanding of climate science had nearly hit a new low. But the arc of climate awareness curves toward reality, it seems. The latest report from the Yale Program on Climate Change Communication and George Mason University finds that moderate Republican voters’ acceptance of human-caused warming has risen 14 points since last fall..."
Climate Change Ruining California's Environment, Says Report. The Daily Beast has the update: "There is “unequivocal” evidence that man-made climate change is having a ruinous effect on California’s environment, according to a new report from the California Environmental Protection Agency. The 350-page report—based on research from scientists, academia, and research institutions—sets out how forest fires, droughts, and warmer ocean temperatures all point to man-made climate change destroying the state’s environment. Despite a downward trend in greenhouse-gas emissions measured in California, CO2 levels in the atmosphere and in seawater continue to increase at a steady rate. The report shows that night temperatures have increased 2.3 degrees over the past century..."
The Unintended Consequences of Climate Litigation. 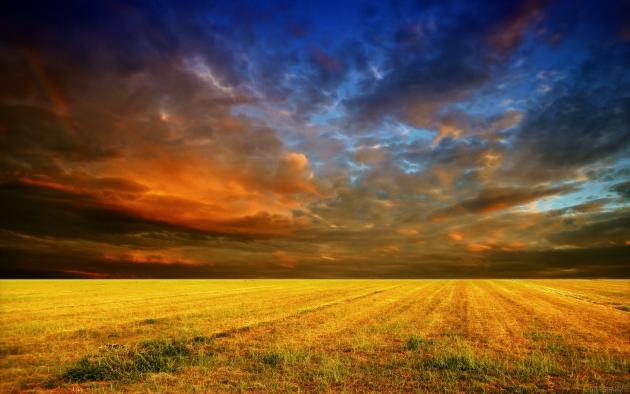 Here's an excerpt of an Op-Ed at TheHill: "...At a general level, it is reasonable to hypothesize that participation in the climate litigation will lead to an increase in the scrutiny with which prospective bond purchasers view future bond offerings. After all, flooding and other forms of damage purportedly caused by the oil companies would be likely to have adverse effects on the respective tax bases and budget demands, and thus the municipalities’ abilities to service their debts. The resulting impacts in terms of the ability to borrow at low interest rates cannot be salutary. But the real problem is more concrete: If the cities win their lawsuits against Big Oil, the question that will arise is straightforward: Why were the climate risks not disclosed more fully? Even if they do not win in the litigation, the question of the discrepancy between the causes of action and the disclosures remains..."
Because of Climate Change, Hurricanes Are Raining Harder, And May Be Growing Stronger More Quickly. A summary of new research caught my eye at Capital Weather Gang: "Two studies published in the past week have troubling implications for the effects hurricanes have on society because of climate change, now and in the future. One directly links Hurricane Harvey’s disastrous rains to the amount of heat stored in the ocean, which was record-setting before the storm plowed into Texas last year. The other shows an increasing trend in storms that are becoming really strong, really fast. Storms that unload more rain and explosively intensify cause more destruction and suffering, as the 2017 Atlantic hurricane season painfully made clear. Harvey, Irma and Maria each ranked among the five costliest hurricanes on record..."
Hurricane Harvey image: National Hurricane Center (NHC).